Many Ways to Learn: Learning vs. 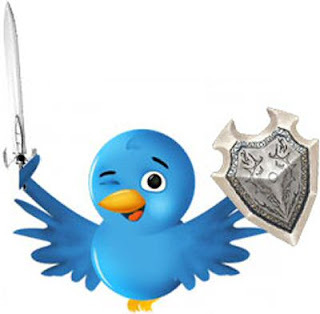 Recruiting: Who Would Win a Social Media War? Learning vs. Recruiting: Who Would Win a Social Media War? "If learning people faced recruiting people in a social media war, the learning people would lose." We would lose because we don’t have the numbers and because it is not in the forefront of our minds as we approach our work. Point #1 - I recently attended the Technology Assisted Learning Conference in Chicago. It was co-located with the Social Media for Recruitment Conference. The conference organizers set up a monitor and a special twitter hashtag (#socialrecruitment) for the recruiter conference, but did not do this for the learning conference. Granted, the title of the recruiter conference was “Social Media for Recruitment”, but the title of the learning conference was “Technology Assisted Learning.” Shouldn’t it have at least been a consideration that a social media hookup would be needed or wanted by learning conference attendees? Point #3 - I am a member of several LinkedIn groups. On occasion when I write blog entries that I think will be of interest to members of those groups, I share the links to my blog posts. Two groups that I belong to are called, “Social Media and the Learning Function” and Social Media in Organizations” (which was formerly titled Social Media in HR). I get a lot of comments and traffic from HR group, but rarely if ever have I seen a comment on one of my posts from the Learning Function group. Point #4 - As a final kicker, not long ago my local ASTD Chapter hosted an excellent and informative meeting on social media usage. Our guest speaker who led the discussion was… a recruiter. I know there is a solid core of learning professionals who are active in social media who I would gladly follow into battle. But there are many others who have yet to take up the sword. Interesting post. I am a learning executive that has been doing a deep dive on social media and informal/social learning. I am not marketing my blog yet so I don't get a lot of comments, but I wanted to make sure you got at least one. I would also follow (which is different than where I was a year ago when I would have gone kicking and screaming). I was at an Inscape Conference recently and they set up a twitter hashtag for attendees. I wasn't sure how to use it but I enjoyed finding out. Some corporations I know don't allow social media in the workplace--for example, facebook is blocked on many company sites. That seems to be getting in the way--would welcome comments. Thanks for the topic Mike. Actually, you will both loose to marketing (even they miss out on the interactive driver of sm) as they have connected themselves to the business agenda and customer. Once learning and recruiting start focusing on the business and less on the process of learning and recruiting they will stand a better chance for recognition. Social media is unique in that the user is the content creator, however too many organizations use sm as just another platform to push an agenda, IMHO. Part of the issue is motivation. For recruiters there is the motivation of a commission. For job-seekers there is the motivation of a job. For marketers there is the motivation of sales. Sadly, there is not that personal financial motivation when it comes to learning. Also, recruiting and marketing are viewed as business activities that increase the bottom line while many organizations still see training/learning as a kind of necessary expense like heat or air conditioning. I am not saying that it all boils down to money, but if you "follow the money" little leads to learning. Perhaps the money is also a form of tracking and measuring for recruiters, job-seekers and marketers, but learning folks can't seem to figure out how to track informal and social learning. Interesting to ponder. I have been trying to act on social learning. I asked a client about creating a course on social learning. The reply was "wikis allow anyone to post anything so social learning will never take off." Sigh. Tom - I had the opportunity to see Charles Beckham demo Jambok. I think it, or tools like it, will play an important role in the near future workplace. Nancy - I think companies that block social media will start to come around quickly. It is the kind of thing you cannot stop - especially as more members of the millenial generation enter the workforce. The concern I often hear is, "you can't control the information our employees may be sharing." But you can't control what they email out either so that is not really a good argument. Victoria and John - you both make some good points. I recognize the nature of the work in marketing and recruiting is based on reaching out and connecting with people outside the organization, while learning work is mostly focused internally. Clearly the incentives for making connections are stronger for marketers and recruiters. But what I don't think we as a learning community have fully realized is the power to connect externally to bring new learning resources into the mix and the power to improve connections internally for greater opportunities to share user created content and best practices through social media tools. Embracing social media can have as big an impact on learning as it does on recruiting and marketing. Thanks to all of you for adding some great points to this dicussion. Interesting stuff. I think that the simpler we keep it, the more people may learn. I have been designing learning (mostly classroom) for about 15 years, and always consider the idea that most learning takes place "in the margins". We can't control it, but we can enable it. The conversation that seems to help is that social media are the new water cooler and the new bull session. We are just starting, but are getting traction especially because we are spread across several continents. Our pitch is to use the new tools to interact as if you were standing up and looking over the cubicle wall.... What will kill it - like learning in any setting - is an attempt to control it. I am a current PhD student at the University of Illinois at Chicago collecting data for a research project on the way firms organize internally for knowledge retention. My research (specifically) pertains to firms who access and absorb external knowledge in technology related development projects. I was wondering if you would be able to participate in an anonymous short phone interview that will take approximately 45 minutes of your time? If you are interested, please let me know and I can provide more detail! As usual, a very thoughtful post, Mike - and thanks for including the SMinOrgs LI group in a positive way! I tweeted a link to it yesterday added it to the FB page today. I do agree that it is in a learning professional's best interests to understand and leverage social media. Although I wouldn't go so far as to say we are in danger of becoming obsolete. We just need to evolve our practices and breakaway from replicating the traditional classroom model everytime we try to move to a new medium. Learning is part of work; work is part of learning, that should be the starting point from which we look to do our jobs. Thanks for your comments and thanks for sharing this in SMinOrgs. Your community provides us with a great model for fostering information sharing and learning through social media. Victory and Defeat in a social media spectrum is momentarily, unless one quits social media marketing altogehter that is. However, victory and defeat offers temporary advantage / disadvantage that could be gone in just a matter of days. "We would lose because we don’t have the numbers and because it is not in the forefront of our minds as we approach our work." - Didn't realize until you offered your great conclusion on the topic. But just as Mike said we really just need to evolve our services.